The new Beach Pavilion + Library is located at the same site as the former beach pavilion which was destroyed by Superstorm Sandy in October 2012. 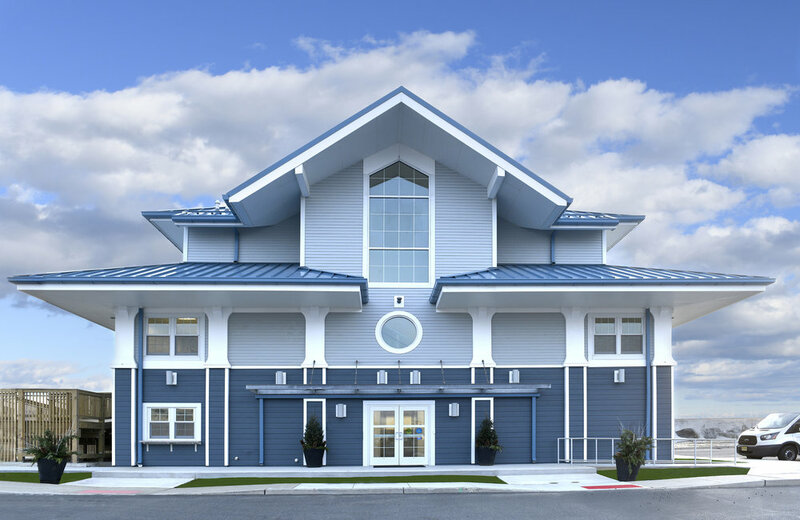 The pavilion includes beach related amenities including public restrooms and showers to be accessed from outside, a lifeguard lookout platform, garage for vehicle and other beach-related storage, sales counter for badge sales, restrooms as well as the municipal library. 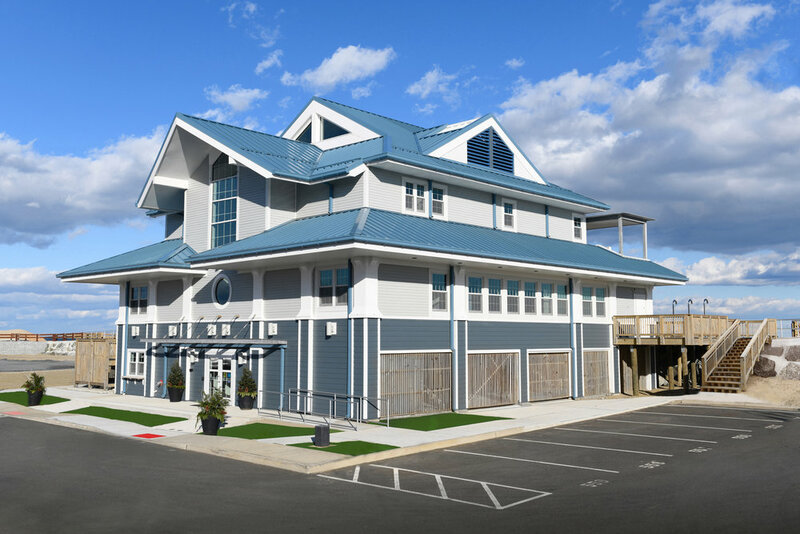 A multi-purpose meeting room/Lifeguard Training Center is also located on the second floor of the pavilion overlooking the Atlantic Ocean.